Its 2,233 feet of track, rising 115 feet, will take shape next to the B&B Carousell, the antique merry-go-round that underwent an extensive restoration and reopened last summer. City officials said the roller coaster should be ready by Memorial Day. 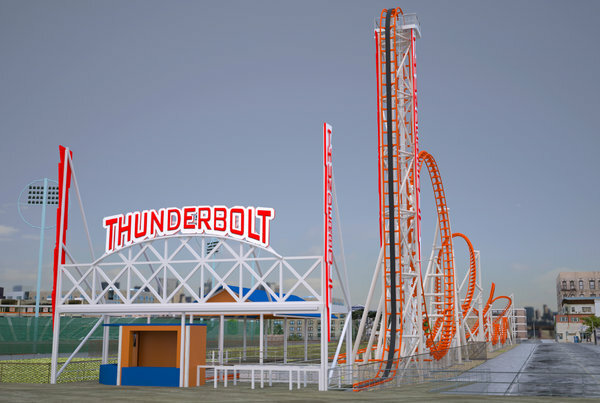 The Thunderbolt will serve as a modern counterpoint to the Cyclone, the beloved, clattering, wooden roller coaster — and New York City landmark — that opened in 1927. It will feature three cars, each with a capacity of nine passengers.